Surfing the interwebs I stubbled across this image. 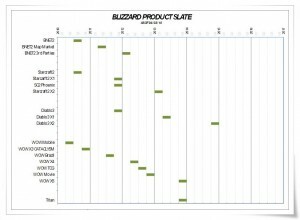 Supposedly it was leaked from some Blizzard internal document and posted on the web late last year by a Chinesse MMO site. This entry was posted in Blizzard, Games on March 17, 2011 by Bhaldie.